Ethiopian police killed 10 Oromo students who were demonstrating peacefully over plans to integrate the capital, Addis Ababa, with surrounding towns in Oromia region in the past three weeks, an opposition leader said. 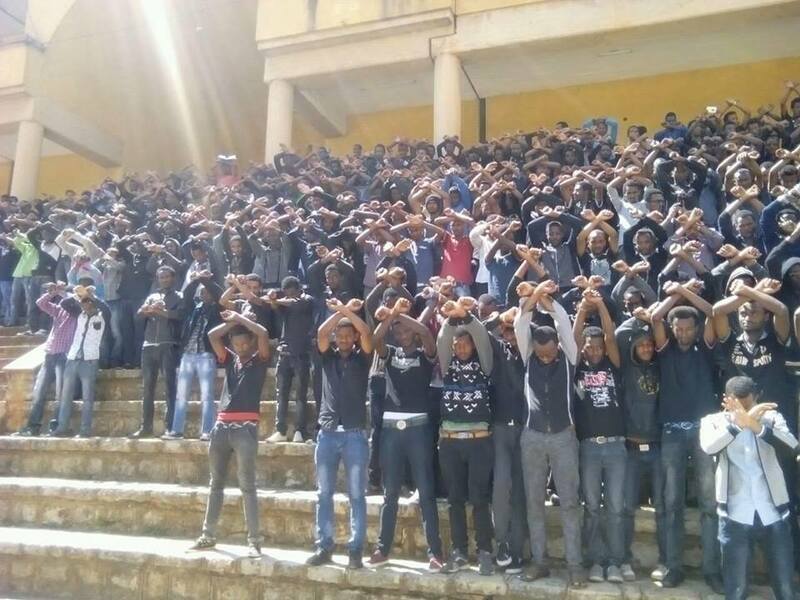 High-school and university students from across Ethiopia’s most-populous region are protesting to demand the government shelve a master plan for the city, said Bekele Nega, general secretary of the Oromo Federalist Congress. “The protest is not as usual, they are not backing away,” he said by phone from Addis Ababa. “They are not willing to stop until the demands are met.” Authorities gave a lower number of fatalities. Ethiopia, which the International Monetary Fund forecasts will have sub-Saharan Africa’s fastest-growing economy this year, is seeing tensions between its plans for rapid development and its constitution, which enshrines the right to ethnic self-administration. Oromo critics say the integration of the capital with surrounding towns amounts to annexation of the ethnic group’s territory as farmers will be evicted and the language and culture lost. Four students died and 20 police officers were injured when protesters became violent, including an attempt to take control of a police station in Toke Kutaye in West Shewa zone, Getachew said by phone from Gambella town on Wednesday. Around 150 people have been injured and 550 arrested, although persistent demonstrating has led to the release of 140 detainees, Bekele said. A worker from the state-owned Fincha sugar factory was killed on Dec. 7 during a protest, he said. The Sugar Corp. is seeking further information on a reported incident at Fincha, which is in Horo Gudru Welega zone, spokesman Zemedkun Tekle said Wednesday by phone from Addis Ababa. A student reported to have died at Haramaya University by falling from a window when police raided dormitories is recovering, Alemshet Teshoma, a university spokesman, said by phone from East Hararghe zone.